Enlist today, and prepare for Season 2 with us! 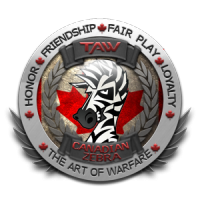 Join TAW Today, weekly Events, Casual and competitive people to play with. Weekly events. Great people. 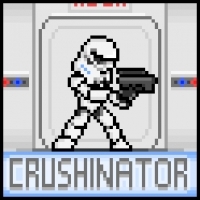 Join us and let's play some Battlefront 2! Every week our we have a mix of swbf2 gaming, and TAW squad vs TAW squad table top board game style events. Hard to describe, join us and see for yourself exactly what it is like to do more than just blast rebels. Just wanna say that CanadianZebra is best girl in our squad hands down. JK CandadianZebra is best guy ever. TAW is still recruiting' !! Apply at TAW.net and we WILL contact you within a day or so. 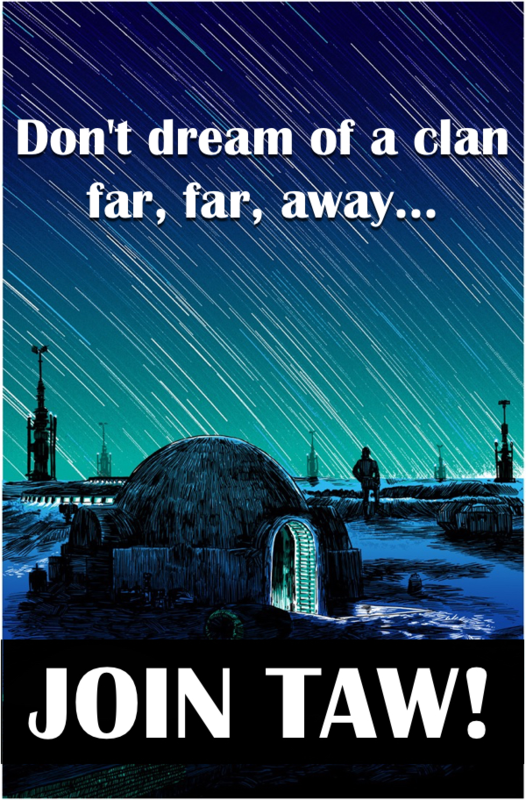 We are a serious clan with dedicated management and lots of dependable officers who are on the ball! Looking for a place to play when Season 2 comes out? We have a great community here and we are always looking for people to join our ranks! If you have any questions or concerns feel free to join our Discord and ask away! There is nothing better than playing good games with good people. 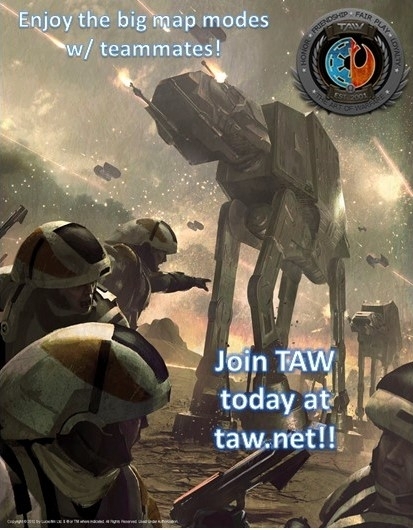 Join TAW Today!!!! Join TAW today! You will not be disappointed. Held weekly Badge night yesterday. Participating TAW members got their badges after 2+ grueling hours of trying to win GA without Killing or pushing the Objective, non-lethal support only. Shennanagins. Fun. Friends. - You won't find all 3 anywhere else. Join us at TAW.net apply only there and our Drill Instructors WILL contact you within 0-2 days. 100% Guaranteed. Nothing like a great group of people to go with a great game! Join TAW today! 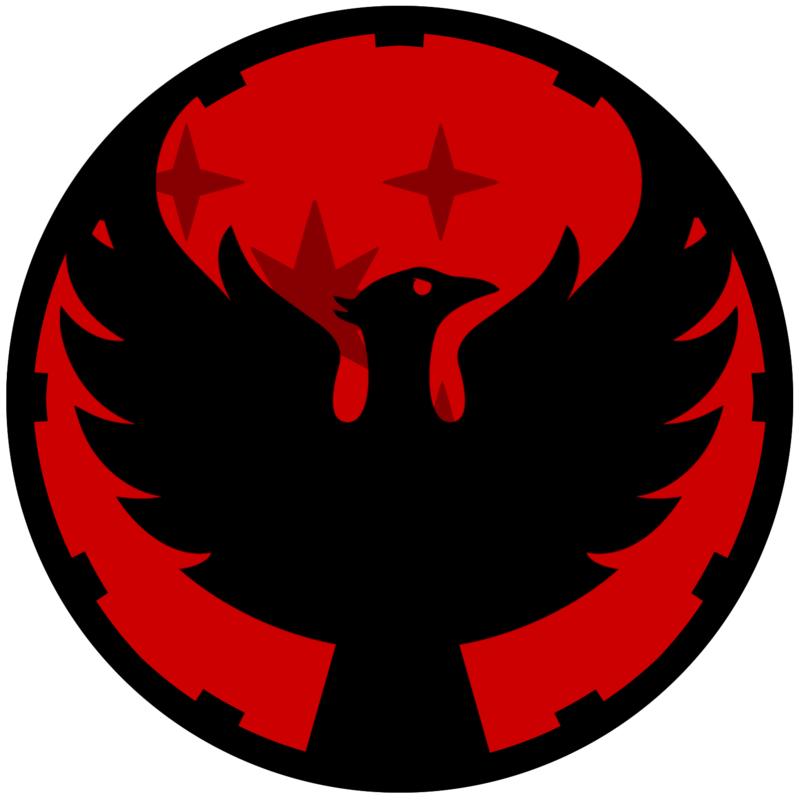 Join TAW, not one of those other clans. I'm sure you've seen us, why not join us? Multiple Weekly events. Civil community. Enough players to fill an entire team of GA - more if everyone is on at once. Apply at taw.net and we WILL get back to you. 100% Guaranteed or your money back!! Come join the fun at taw.net. I promise you will not regret it! We are always looking to grow the team. Please check us out at TAW.NET! 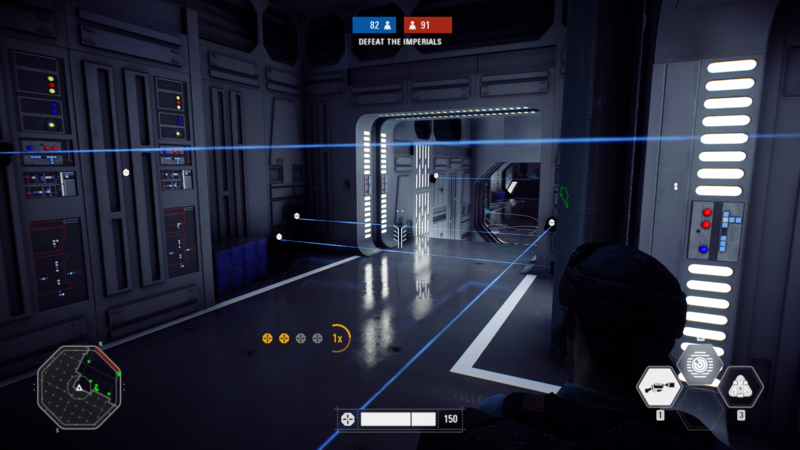 If you love Star Wars Battlefront II, playing with a group of like minded people makes the experience even better. We hold multiple weekly events, have a Team Speak, and a dedicated website. It's a great experience and a ton of fun. We're always looking for new members to come hang out and play some games with us. We'd be happy to have you join us. There is nothing better than playing a great game with even better friends. Check us out at TAW.NET! The Art of Warfare is a great community. If you want to Play with Great people, Than Join TAW. Looking for an active community to play Battlefront II with? 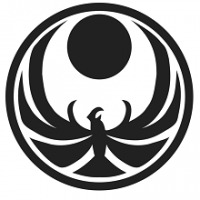 Our Battlefront II division holds 40 active members and we are looking for more! have created here is something special and we would love for you to join us! Feel free to join our Discord if you have any questions or just wanna stop by! The Art of Warfare is a community of players who value having fun over everything else. In addition, we are a casual group of players who share and teach each other tricks to play the game and run our own in-house events. So don't worry about how "good" or "bad" you are, just come join us and have some fun! 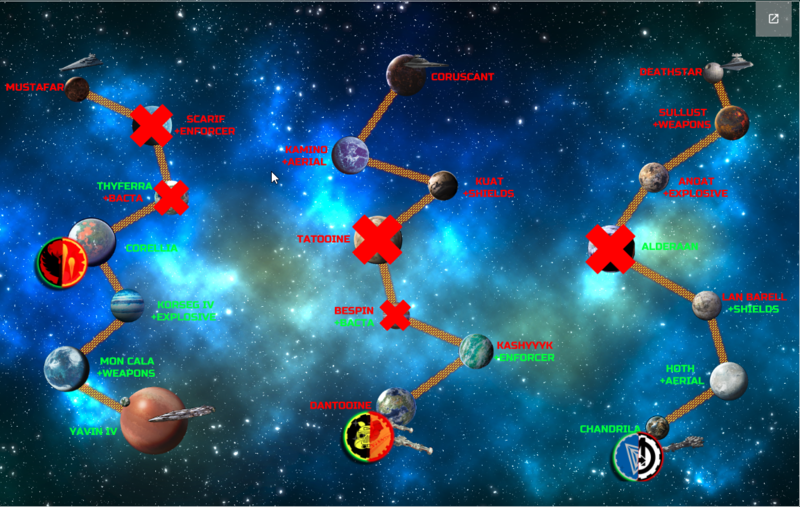 We're elbow's deep into our TAW Exclusive tactical event, Galactic Struggle! 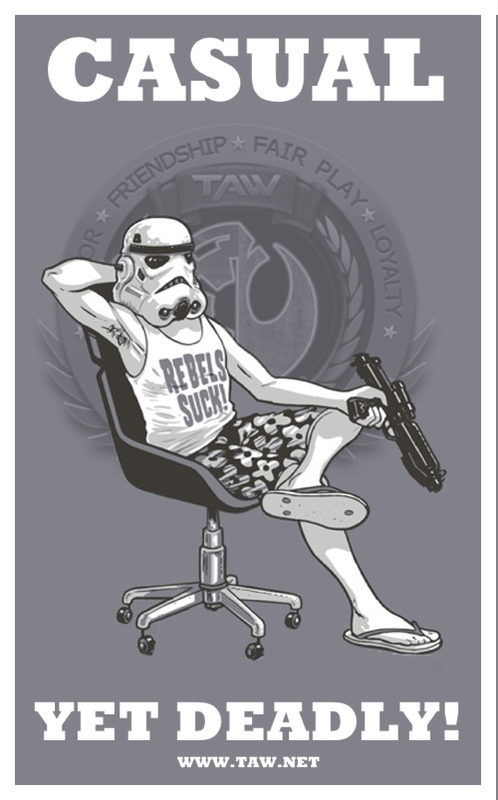 Strap in for Week 6, where the Galactic Empire has just reached one of the Rebel bases. Will the Rebels be able to secure victory and hold off the outnumbering Empire forces in this pivotal battle? 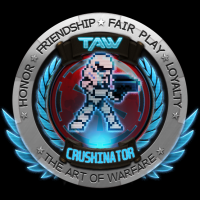 Come take part in persuading the tide of war and join us at TAW.net! 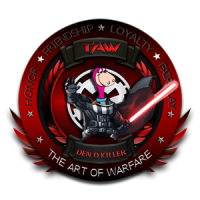 We at TAW are pretty friendly, love Star Wars, and have a blast playing SWBF 2 as well as other games. Come join us and have some fun. There is no experience better than the one you get when you play as a team! Check us out at TAW.NET! Come play with us during the latest update. Melee Arena? Flash Pistol Showdown? Turret Blaster Tower Defense? Trip Mine Mayhem? YES PLEASE!! Just go to TAW.net and fill out an application and we'll get you started. 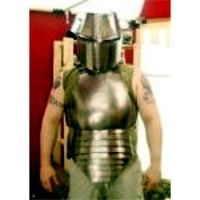 I'll add you to my Origin list and if you're online, we can invite you as a guest and see if you like it. I'm a PC player, loving SWBF2, and I would like to play with some nice players. 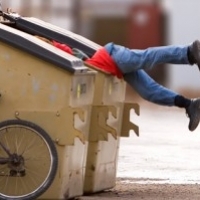 I just joined the discord. If I'm available, don't hesitate to contact me to play a few games. Galactic Struggle is coming to an end shortly who will win? come play with us and find out in our latest Event. With one Homeworld down, one under siege, and a failed attempt at an Imperial Capital on Mustafar, things look quite dire for the Rebel Alliance! 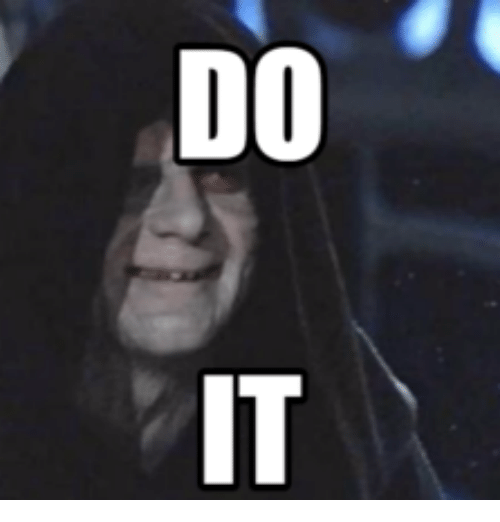 Will the Rebels be able to stand fast against the overwhelming might of the Empire? 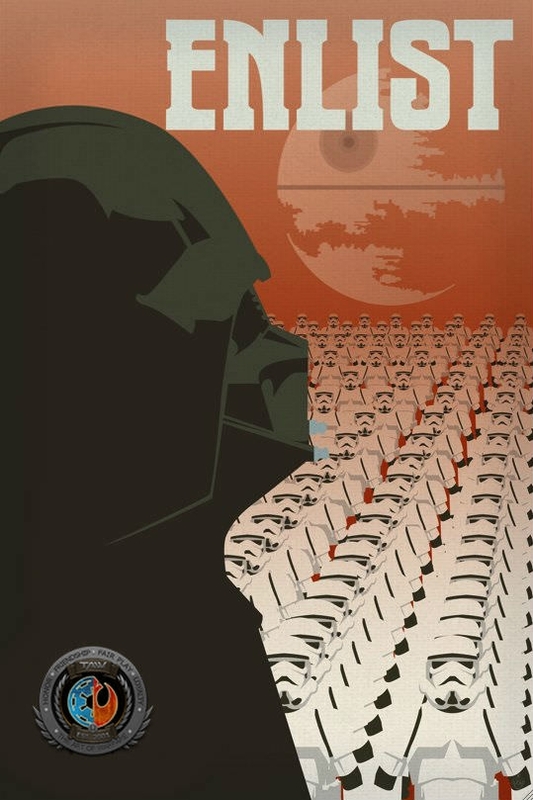 Will the Empire crush the Rebelion and lay siege to the galaxy? Will you help decide thier fate?! Join us at TAW.net for this pivotal moment of Galactic Struggle! Join now to have tons of fun and lots of laughs! 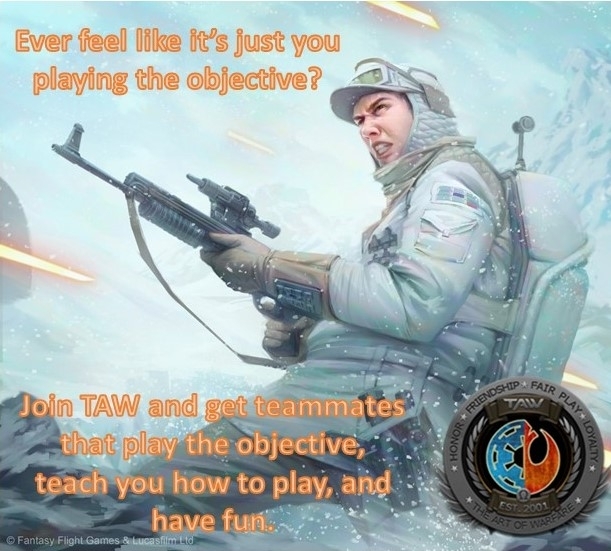 Come join TAW and have some fun. We just wrapped one team based internally designed game and will be starting up another one shortly. Give it a shot. 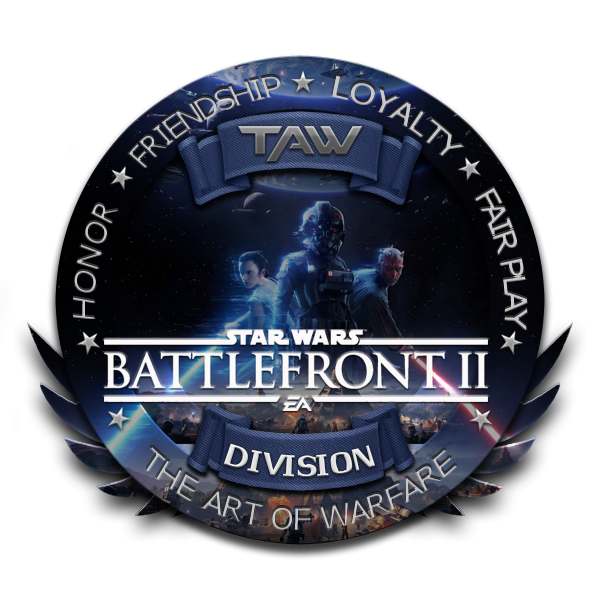 Come join TAW for some epic Battlefront 2 fun! We're always looking for new friends to play with. Join us!! What is they bidding? Join TAW! We have a ton of fun when we play! taw.net to apply!